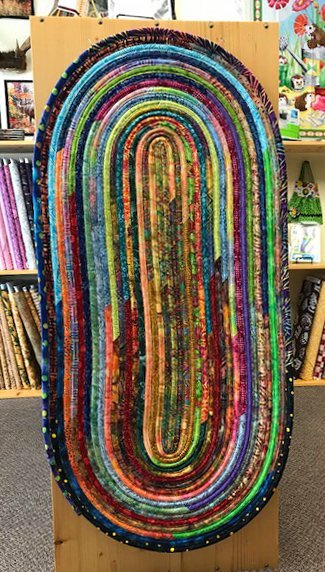 Join us in becoming addicted to Jelly Roll Rugs. They are not only addictive, but they are great stash busters. Marilyn will teach the technique by making a smaller version that works great as a placemat or table topper. Use a favorite jelly roll or cut 2-1/2" strips. Materials Included: Class Only. Pattern and fabric are extra. Bring your lunch; there is a refrigerator and microwave for your use.